Confused where to go for having Street food in Jaipur? Planning for a delicious, inexpensive meal.. Want to know about Best Jaipur Street Food Places in Jaipur? Sethi Bar-Be-Que is located at 220, Street No.1 , Near Sidhwashar Mandir, Raja Park, Jaipur. They will serve you finger licking good Chicken Tikka. Dhaba Chicken is certainly the best option out of the menu, it is delicious and full of spices. It is a real dhaba taste. Sethi Bar-Be-Que is a nice option to visit seldom with friends. Being in the pink city and not having much of non veg options, Sanjay restaurant is a boon.. The decor is simple and without any frills. Their focus is on the main thing that is food. Starting from approx 10 varieties of Omelette to Egg pizzas, Bread with Egg and what not. Definitely worth a visit for any egg lover. Chawla’s is located at fashion street, Lane no. 1, raja park, Jaipur. Chawla’s is famous for golgappe and sweets. Panipuri loves must try this place. Just opposite to Chawla’s, you will find their strongest competitor named Nand. We suggest you to try this too. 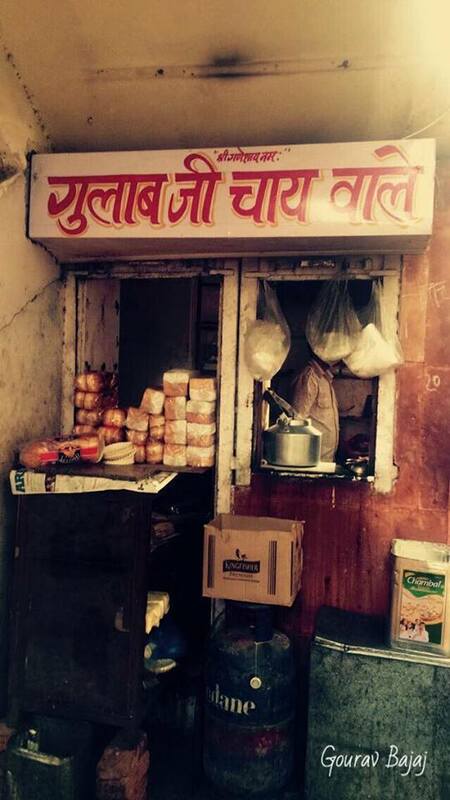 It is basically famous for its sabudane ki khichdi, dahi vada and lassi. You must also try srikhand and fruit cream here. Lassiwala is located at Ashok nagar, MI road that server you the best lassi in Jaipur. A foodie must not leave Jaipur before trying lassi from this place. As the name suggest, Its an ice cream parlor serving one of the best mouth-watering ice-creams in Jaipur. Pandit Pav bhaji is located at JLN marg, Opposite to Birla mandir. Server the best pavbhaji in the Jaipur, It is extremely cheap and mouthwatering taste. This place is always crowded and is easy to spot. If you are a tea lover, you must try this. It is a crispy crust filled with lightly caramalised abd seasoned onion filling. You will find the best Faluda Kulfi you might have ever had. shopping center, malviya nagar, near World trade park. GVD is popular for patties, cold coffee and chocolate shake. This is a ‘thela’ but gives better South-Indian food as compared to any other big restaurant in Jaipur. Ones you eat here, you will probably never eat South Indian anywhere else. It is located at the front of National handloom at Vaishali nagar. There is a dairy located at the corner of the road going towards Aunty’s cafe. You will love the coffee they serve.